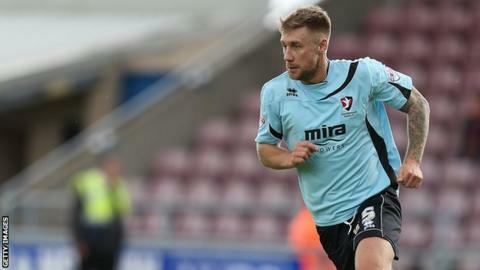 Exeter City have signed their former captain David Noble on loan from League One side Oldham Athletic. The 32-year-old midfielder previously played for the Grecians between 2010-12, making 88 appearances and scoring three goals. However, Noble was released following Exeter's relegation from League One at the end of the 2011-12 season. He signed for Oldham on non-contract terms in August and made two appearances for the League One side. However, he was released by the Lactics on 3 September before being re-signed on Friday and immediately sent out on loan.